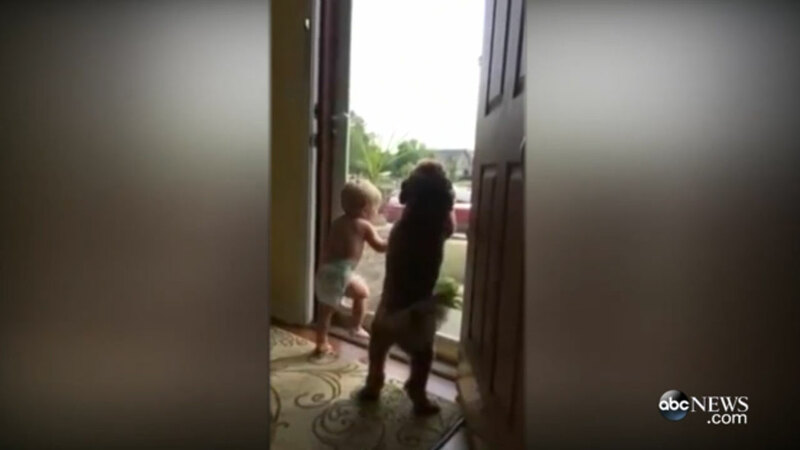 A baby and dog just couldn't contain their excitement when they saw dad pulling into the driveway. "It's daddy!! Are you waving to him?" the mom asks as the baby stops his feet and the dog excitedly paws at the door. The video has already amassed more than 1 million views.